3. Display - 6.18" IPS display with an FHD+ resolution, brightness, contrast, color temperature, sRGB coverage, etc. 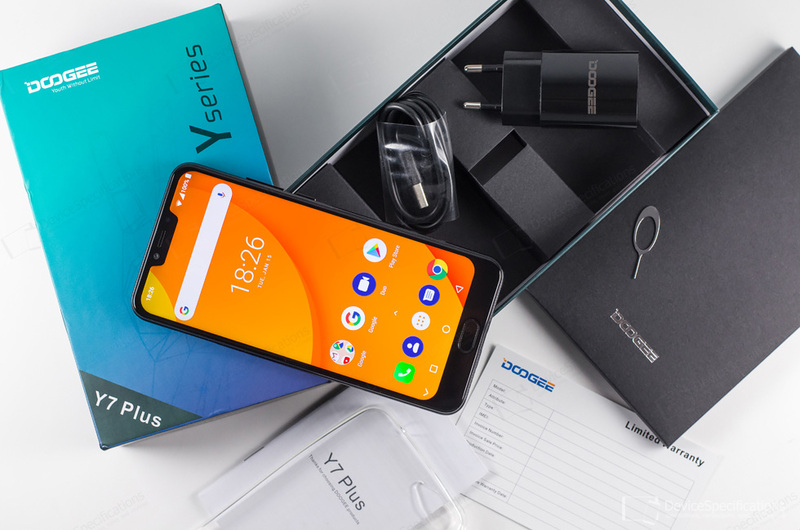 Doogee's Y series are always targeted at youngsters and people who want to enjoy a satisfying smartphone experience without spending a fortune on a mobile device. These are usually lower-mid-range smartphones at affordable prices but the Y7 Plus - the subject matter of the current smartphone review - seems to offer even more. It has a big, FHD+ display, a huge battery - 5080 mAh, and a Helio P25 chipset - a combination which ensures an enjoyable experience, good battery stamina and reliable performance. Whether the Y7 Plus delivers all this in reality - read on to find for yourselves. As usual, we make the measurements - you make the conclusions. 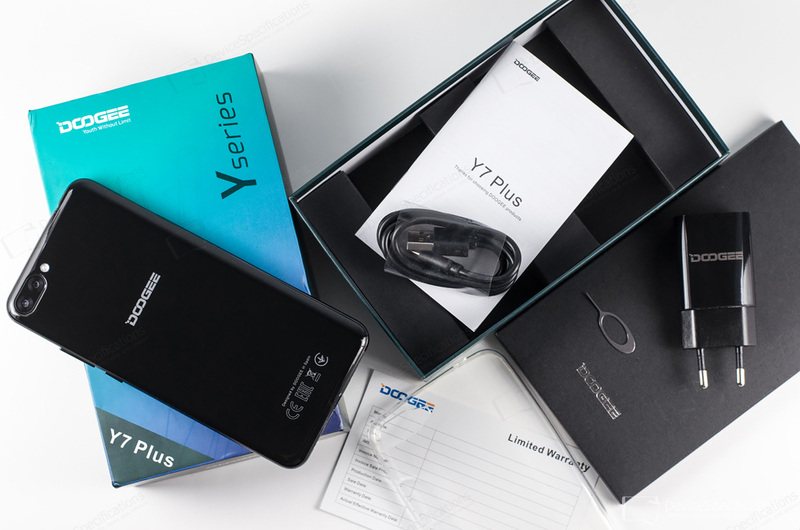 You can buy a Doogee Y7 Plus from Doogee's official AliExpress store. Doogee Y7 Plus features a 6.18-inch IPS display with an FHD+ resolution (1080 x 2246 pixels), a notch on top and a front-mounted fingerprint sensor at the bottom. It is covered with a 2.5D curved glass of unknown manufacturer and generation. The front and the four-side curved plastic backplate are connected via a metal frame with a glossy finish. The smartphone is equipped with a is based on a MediaTek Helio P25 (MT6757CD) system-on-chip which houses eight Cortex-A53 CPU cores in a big.LITTLE architecture. Four of them tick at 2.5GHz and the other four - at 1.6GHz. The 900MHz dual-core Mali-T880 GPU manages the graphics department. There are 6GB of dual-channel LPDDR4X RAM onboard clocked at 1600MHz. The built-in memory measures 64GB that can be expanded with up to 128GB. The camera department includes a 16MP Samsung S5K3P9SP ISOCELL Bright sensor for its primary camera aided by a 13MP secondary shooter on the back. The main camera features an f/2.0 lens and is aided by PDAF and dual-LED flash. The front-facing camera is equipped with a 5MP GalaxyCore GC5025 sensor, interpolated to 8 megapixels, and an f/2.8 lens. It also supports face unlock. As long as it concerns connectivity, Doogee Y7 Plus supports the following networks bands: 2G GSM (850, 900, 1800, 1900 MHz), 3G WCDMA (900, 2100 MHz), and 4G FDD-LTE (800, 900, 1800, 2100, 2600). LTE speeds are Cat. 6 ones. The rest of the connectivity options include dual-band Wi-Fi 802.11 a/b/g/n, Wi-Fi Direct, Wi-Fi Hotspot, Wi-Fi Display, Bluetooth 4.0. The model is equipped with a USB Type-C 2.0 port with OTG support and a 3.5 mm jack. It works with GPS and GLONASS and runs on almost stock Android 8.0 Oreo. Complete Doogee Y7 Plus specifications.